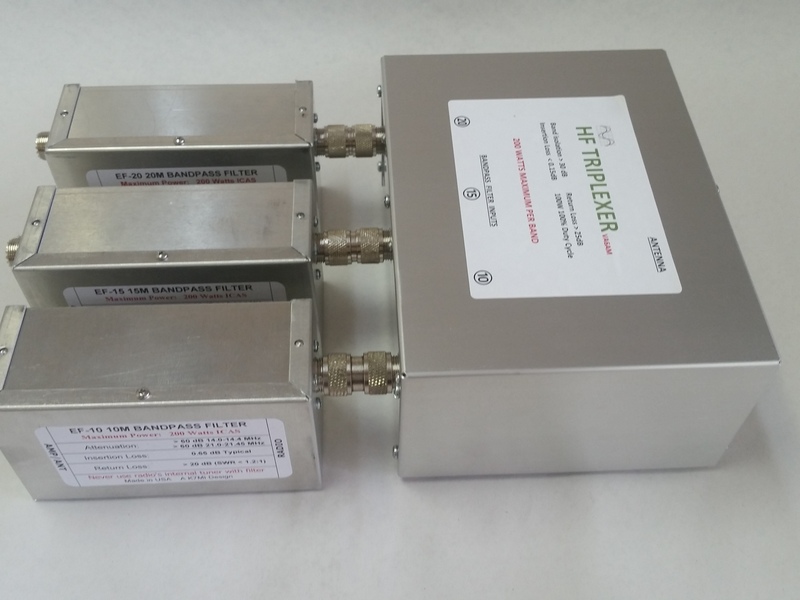 The Triplexer converts a single feed line from a tribander, multiband vertical or wire antenna into 3 independent bands allowing you to transmit and listen on different bands the same time. It can be a valuable addition to your station in SO2R and Multi-Op contesting, Field Day operations, DX-peditions and in many other special events. The Triplexer together with band-pass filters allows you to transmit and listen on different bands simultaneously. The idea to have a triplexer with a good isolation came to VA6AM when he realized that -27dB attenuation between 10 and 15 meter bands in his 28MHz BPF (5B4AGN design) was not a sufficient number! At least -60dB is required between bands to work comfortably and safely in a SO2R single tribander 100-150 watt station setup. A good triplexer should deliver 30-35dB attenuation in addition to a good BPF. 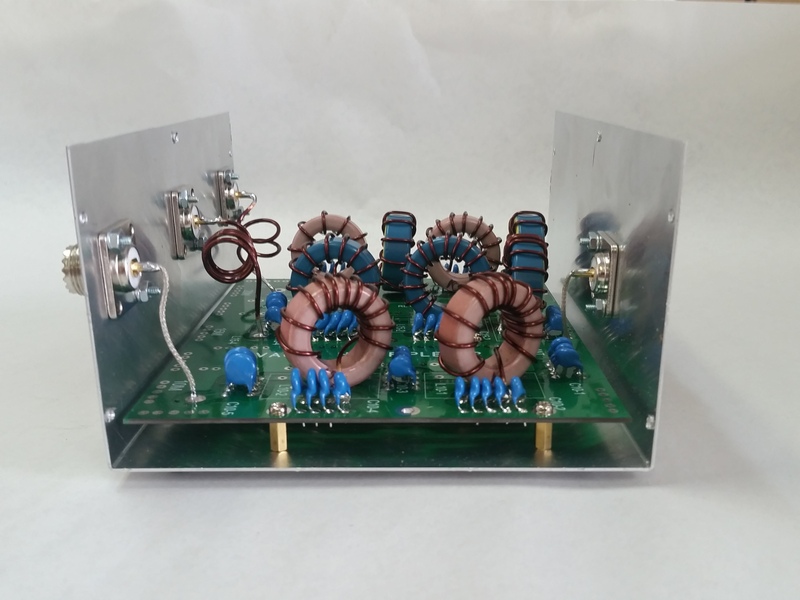 We recommend the Array Solutions K7MI built Cauer 20,15, and 10m Cauer200W BandPass Filters which have greater than 60 dB of attenuation in the adjacent bands. Designed to enhance 15m performance and deliver better performance than all the other triplexers on the market which all suffer on the 15m band. 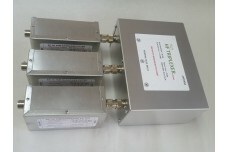 •	The triplexer central frequency is 20MHz. 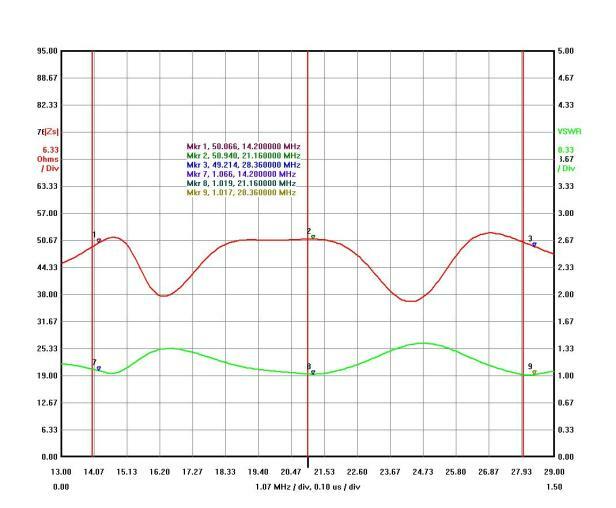 This is how the software calculated it and there is some sense to do this way to have the same isolation between 15 and 10 meter bands as it is between 15 and 20 meter bands. •	If the triplexer central frequency is moved to 21MHz it will increase isolation of the 20m band to -35dB and decrease the 10m band isolation to -25dB. 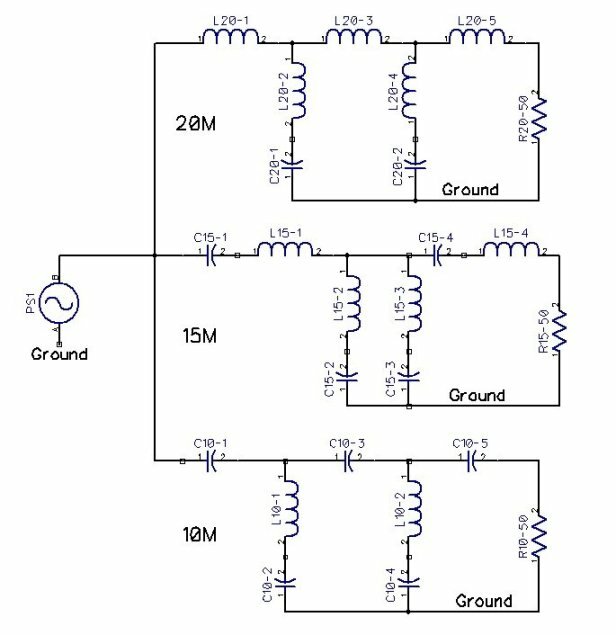 •	The 15m band triplexer leg is quite wide by parameters which allows it to have good VSWR, Insertion Loss and Return Loss for this band despite the fact that triplexer tuned for 20MHz. •	The graph below shows how a good triplexer should be built. It is not a perfect shape like a software simulated design, but it is a well-balanced triplexer. The VA6AM is a well balanced triplexer . This plot was taken from the the Antenna Port.